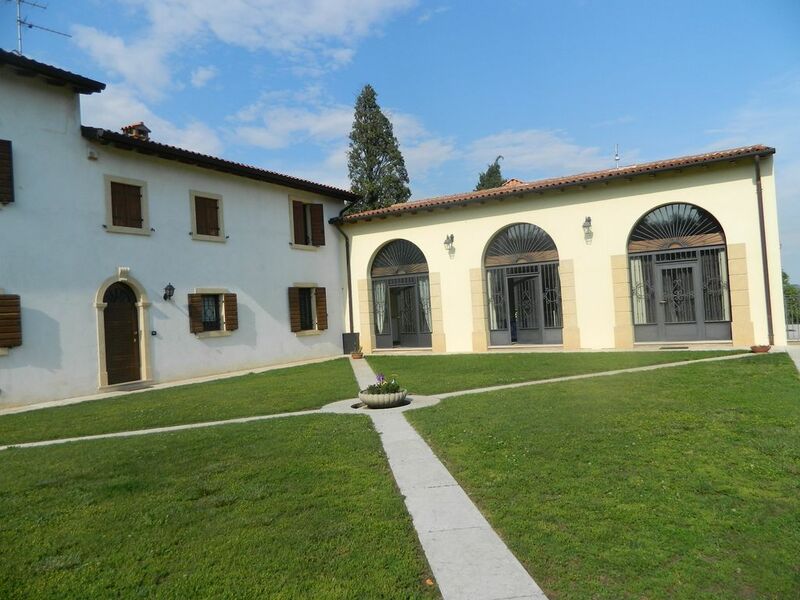 B & B Corte Preare is located in the hills east of Verona in the town of Lavagno, 12 km from the center of Verona, strategically less than 2 km away. From the ring road and the VR Est motorway toll booth. Our b & b is an ideal solution for those who want to rest in a beautiful and peaceful natural setting, detached from the rhythms, at times frenzied, For a day of work or simply for intense tourist commitments. The rooms are all brand new and equipped with all comforts, with autonomous air conditioning and wifi internet connection. De b&b is prima verzorgt en desgevraagd kun je ook voor adviezen over restaurantjes in de omgeving terecht. Posto incantevole interni ristrutturati e funzionali, stanze calde e grandi bagno bellissimo. Tutto perfetto in un oasi di pace con vista sui colli a perdita d'occhio a 12 km da Verona. Titolari disponibilissimi e gentilissimi. Nota molto positiva anche la colazione abbondante varia e molto ben strutturata con ogni bontà a disposizione consigliatissimo.